With fairytale castles, priceless paintings, vineyards and a tale of unrequited love, there is never a dull moment on a Rhine cruise. The most popular Rhine cruise is a one-week journey from Amsterdam to Basel that visits four countries – Holland, Germany, France and Switzerland – and passes through towns and cities packed with centuries of history and culture. In Speyer, visit what was once the biggest cathedral in the Western world, built by Conrad II, the Holy Roman Emperor between 1027 and 1039, to show how important he was. 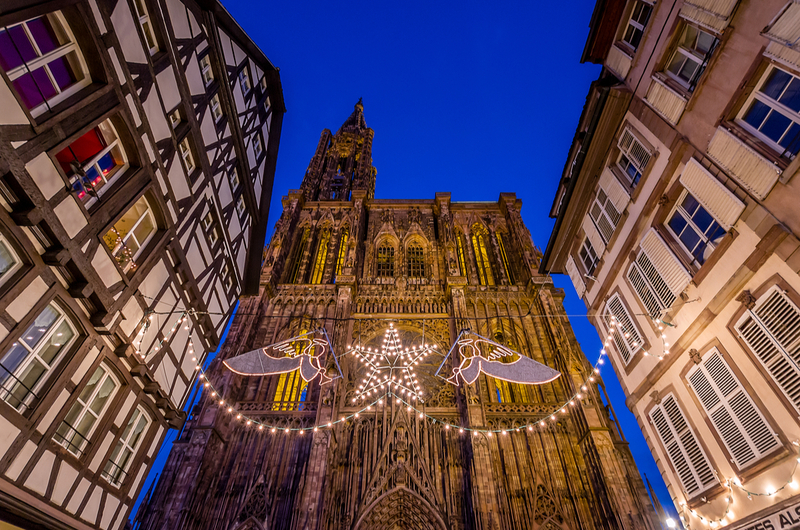 From Mainz, a city at the confluence of the Rhine and Main Rivers that can trace its history back 2,000 years, tours go to the Gutenberg Museum, which houses a 42-line Bible printed in 1455 by Johannes Gutenberg, who invented the printing process. All Rhine cruises visit Cologne, where you can see a chocolate museum and learn the art of drinking Kölsch (it’s the local beer and basically Köbes, as the waiters are called, will just continue refilling your glass until you say no!) and Strasbourg, a city that has changed hands between France and Germany eight times over history. Tours drive around the European Parliament and European Court of Justice, and they are interesting, but the old town is superb, with its Gothic Cathedral, half-timbered houses, canals, and loads of lovely restaurants and cafés. 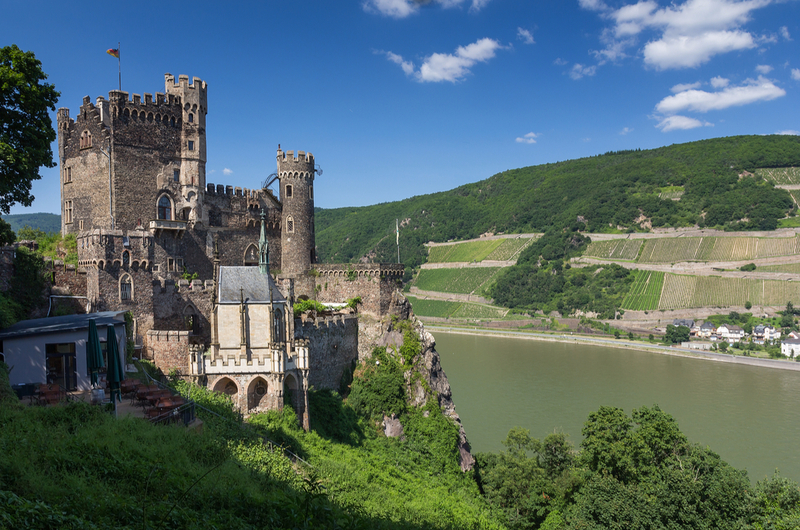 And of course all cruises pass through the Rhine Gorge, the prettiest part of the river, with fairytale castles, spires, churches, precipitous riverside vineyards and the Lorelei Rock (see below). Most river cruises also call at Koblenz, at the confluence of the Rhine and Moselle. It’s easy to spot because there’s an enormous equestrian statue of Kaiser Wilhelm I where the rivers meet, called the Deutsches Eck, or German Corner. A cable car takes visitors across the river to the Ehrenbreitstein fortress, 118 metres above the Rhine. One of the reasons the Rhine is so popular is because it can be combined with so many other rivers. 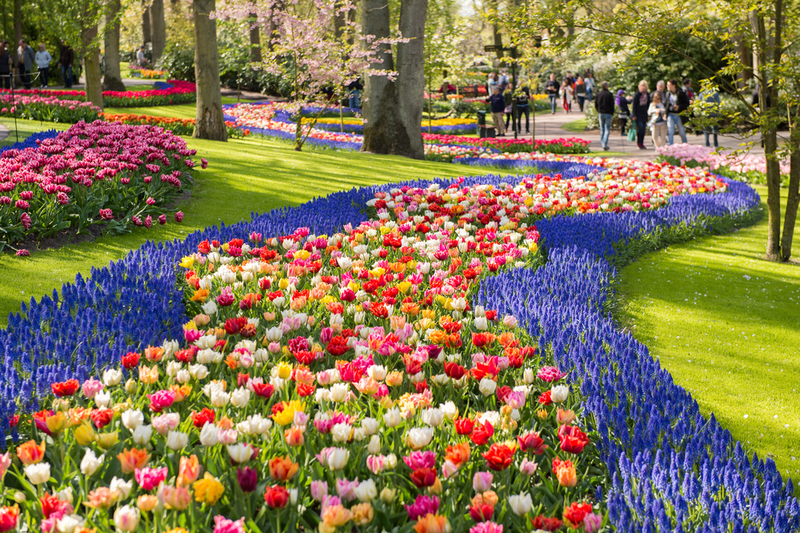 You can cruise through Holland and Belgium from Amsterdam, visiting Arnhem, Antwerp and Hoorn (it gave its name to Cape Horn in South America) and the famous tulip displays in Keukenhof Gardens. Some Rhine cruises include a diversion down the Moselle, which flows into the Rhine from north-east France and Luxembourg, or along the Main, which flows into the Rhine from eastern Germany. Cruise along this and you end up on the Main-Danube Canal, which connects to the Danube. For the ultimate European river cruise holiday, there are two-week cruises from Amsterdam to the Danube and a three-week voyage from Amsterdam to Romania on the Black Sea. Highlights on the Moselle include Cochem, a pretty town dominated by the imposing Reichsburg Castle. It was built in the 1100s, destroyed by the French in 1689, rebuilt 200 years later and is now a museum housing collections of Renaissance and Baroque furniture. Some itineraries also visit Trier, founded by the Romans in 16BC and said to be the oldest city in Germany. The Porta Nigra (Black Gate) and a 20,000-seat amphitheatre are reminders of their time here. Tours also pass the house where Karl Marx was born in 1818. 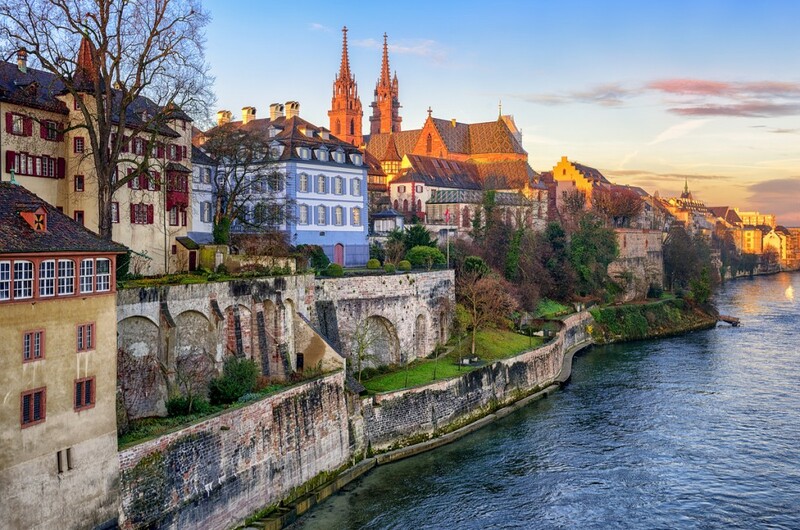 On the Main, cruises visit Wurzburg, where tours visit the Baroque Bishop’s Residence and Rothenberg, a walled city where snowballs (balls of pastry coated with icing sugar), a Christmas shop that’s open year-round and beautiful medieval architecture are the main attractions. In Bamberg, try the strange-tasting smoked beer; in Nuremberg, tours visit the Nazi rally grounds and Documentation Centre, which charts Hitler’s rise to power. In the old town, taste the local Nuremberg sausage, said to the best wurst in Germany, and visit the Church of our Lady on the huge market square. 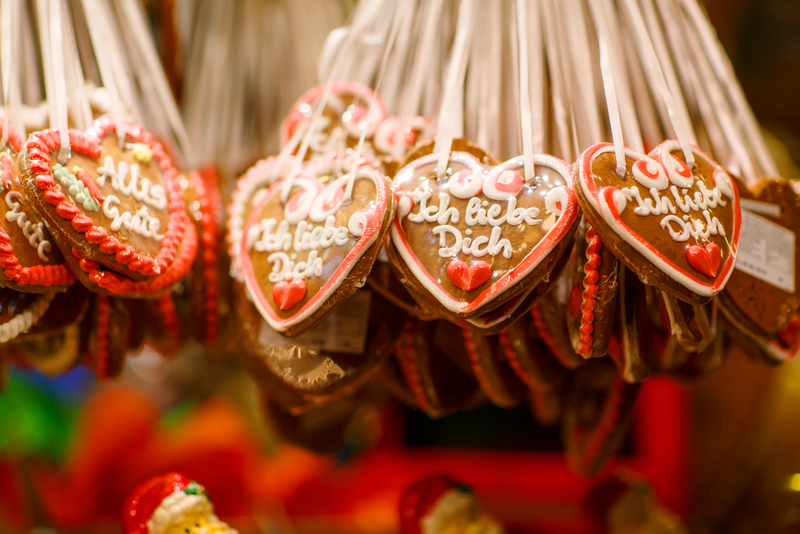 Come December, this holds one of Germany’s biggest Christmas markets. Cologne’s Gothic Cathedral. Once the tallest building in the world, it took 630 years to complete and miraculously survived the bombs of the Second World War while the city around was destroyed. The old student gaol in Heidelberg, where young miscreants were locked up for getting drunk, womanising, duelling and other misdemeanours. The walls are plastered with their satirical pictures, poetry and political comments. The astronomical clock in Strasbourg’s Gothic Cathedral. It’s nearly 450 years old and still keeps perfect time. Siegfried’s Mechanical Musical Cabinet in Rüdesheim. It sounds weird but is an extraordinary collection of music machines from the past 200 or so years. An 800-year-old Jewish mikveh, or purifying bath, in Speyer that survived the Nazis and is now hidden behind lock and key. More than 40 castles and fortresses from the Middle Ages line the cliffs that tower over the Rhine Gorge, making a passage through the valley a highlight of any cruise on the river. This is the prettiest part of the Rhine, just 58 miles long, and you really should be up on the sun deck to enjoy the best views. As you sail, your cruise director will point out the best sights and also explain some of the history. You’ll also learn the legend of the Lorelei, a beautiful maiden said to have thrown herself to her death over a faithless lover. She then lured sailors to their deaths with her hypnotic singing. It’s a great story but be warned: the rock itself and statue of the Lorelei are a tad disappointing. Castles to look out for include Marksburg, built around 1100 and one of few to escape being destroyed by French invaders in the late 1600s, and Burg Maus (Mouse Castle), said to have got its nickname from the Counts of Katzenelnbogen, who built nearby Burg Katz (Cat Castle). Seven million tulip bulbs are planted each year in Keukenhof Gardens in Lisse, Holland, a 32-hectare garden open for just two months each spring. In that time more than 800,000 visitors a year pass through its turnstiles, hoping to see acres of colourful tulips.